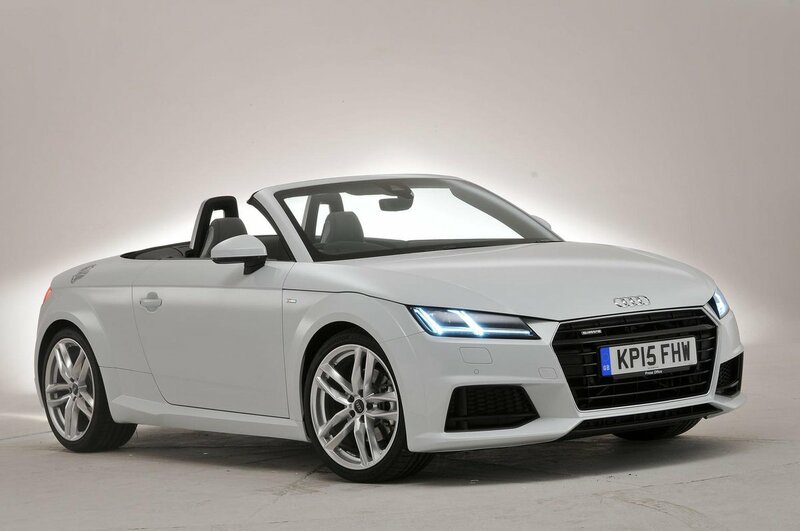 Audi TT Roadster Interior, Sat Nav, Dashboard | What Car? You don’t sit quite as low down as you do in rivals such as the BMW Z4 and Porsche Boxster. Drivers of most shapes and sizes will be able to get comfortable, though, thanks to lots of adjustment to the supportive seat and the steering wheel. Adjustable lumbar support is standard on all but entry-level Sport models. You’ll have no problem working out the dashboard controls, because there are only a handful of clearly labelled buttons set neatly into the fascia. 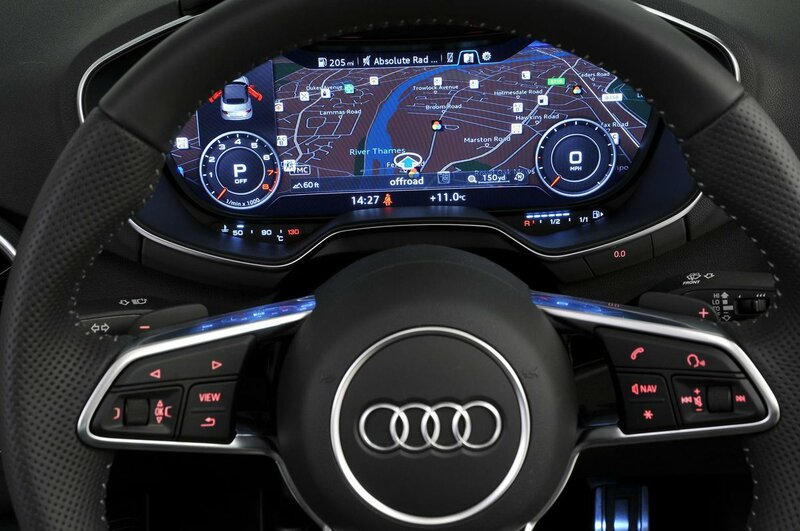 This minimalist approach has been made possible by having the main screen – which displays everything from the stereo information to the instrument dials – behind the steering wheel. 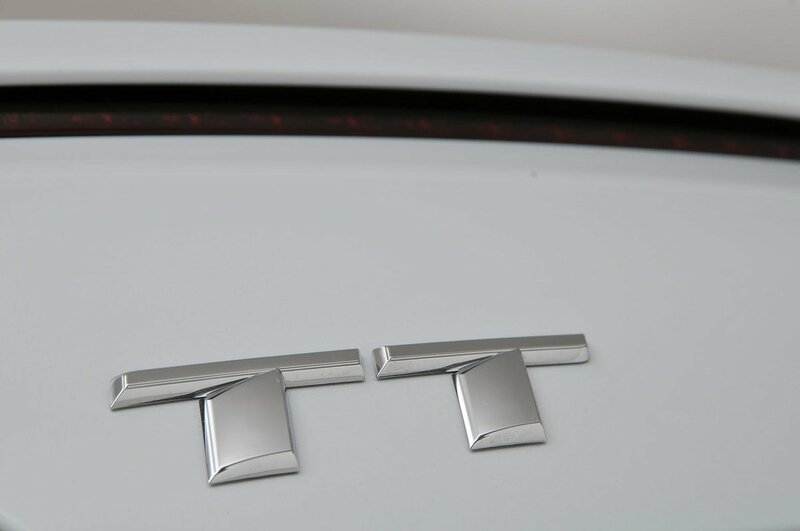 The bottom of the TT Roadster’s fabric roof extends all the way from the rear window to the side windows, so manoeuvring requires a fair bit of neck craning. The TT’s sleek styling and high waistline restricts your sideways view a bit, too, but forward visibility is pretty good by roadster standards. To make life easier, you get rear parking sensors as standard on all TTs with front parking sensors and a reversing camera on the options list. Alternatively, there’s park assist, a system that will steer your TT into a space while you operate the throttle and brake. All versions feature a huge 12.3in colour display behind the steering wheel where you’d normally expect to find the instrument dials. This unusual layout is mainly good news because it means you don’t have to divert your eyes far from the road to see it. It does, however, make it hard for your passenger to help out with tapping in a postcode or choosing a radio station. The system is easy to use, though. You control it via a large rotary dial between the seats, and there are also handy shortcut buttons to take you directly to specific functions. A DAB radio and USB socket are fitted to every version, but sat-nav is an optional extra – and is available only as part of the fairly pricey Technology package. We'd advise adding it, though – if only to make your TT easier to sell on in the future. The TT Roadster’s interior really is special, with high-quality and solid-feeling materials throughout. That runs to the switches and buttons, too, with every one operating with a satisfying click. The panel gaps are also so small they’re practically non-existent. It makes a Mercedes SLC’s cabin feel decidedly low-rent, and even the Porsche Boxster’s struggles to match the Audi’s wow-factor.